Product prices and availability are accurate as of 2019-04-14 08:45:17 UTC and are subject to change. Any price and availability information displayed on http://www.amazon.com/ at the time of purchase will apply to the purchase of this product. Looking for something unique and original for a New Year's Eve party? 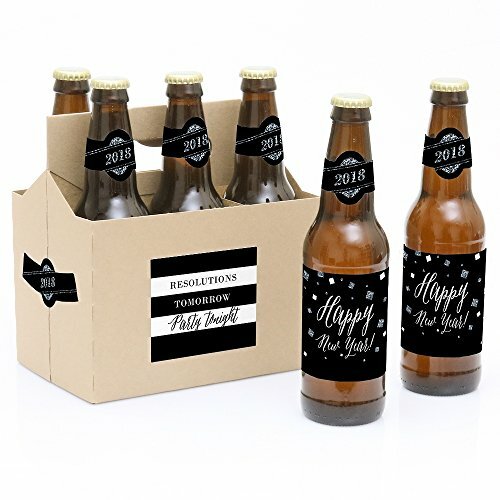 Our New Year's Eve - Silver - 6 2019 Holiday Party Beer Bottle Label with 1 Beer Carrier are the perfect gift for the adult or bring to a party. 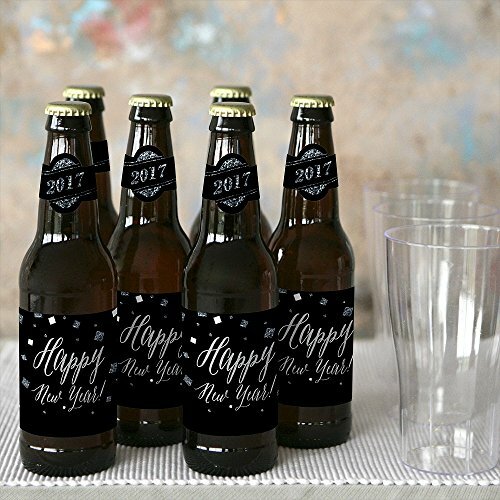 This set comes with a craft paper carrier and with 6 beer bottle labels that are printed on sticker paper that is waterproof. Apply labels to room temperature bottles. Apply beer bottle labels either after removing original label for best results or put over existing labels if you choose. Chill after you are done applying labels. For the two larger labels that are left over apply to the front and back of paper carrier. Use the two smaller ones to put on each end of the paper carrier to give you the completed look. 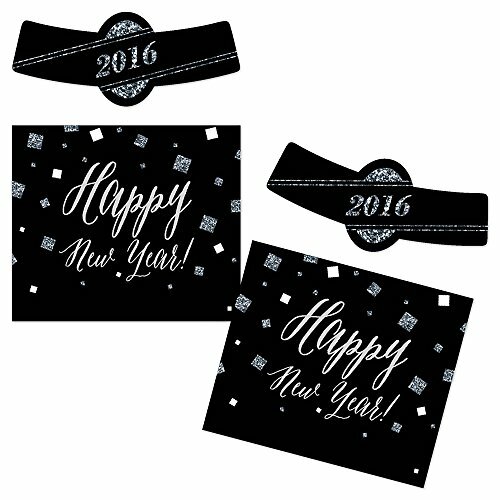 New Year's Eve Holiday Party Beer Bottle Labels - Sold in a Set of 6 Set of 6 = 6 main beer bottle sticker labels and 6 collar top sticker labels. Labels are waterproof gloss laser - will fit standard beer bottle shape in image. The main sticker label is 3.5" x 3" and the collar sticker label is 3.5" long x 1.5" wide at the center. Apply to bottle and "Chill" :) - Great Gift Idea!